Warm weather is no excuse for dressing down. When the mercury jumps your clothing should help you beat the heat and stay cool, both physically and stylistically speaking. 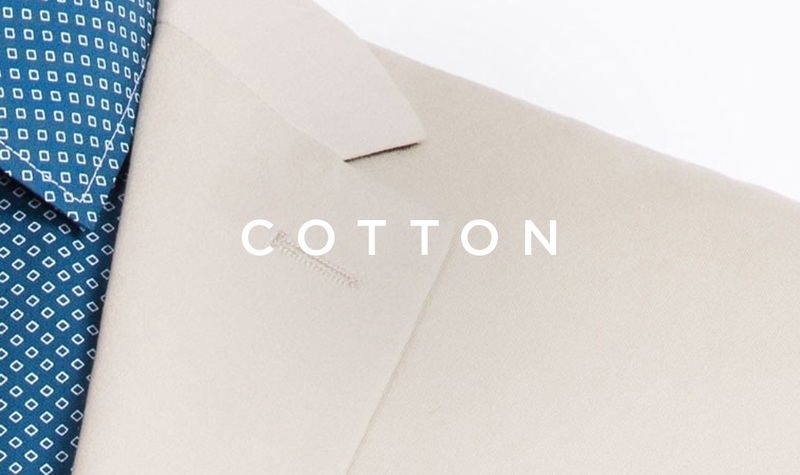 Cotton and linen are the ultimate summer suit fabrics, and the antidote to overheating during the hottest summer days and nights. Cotton and linen are some of the oldest fabrics known to humankind. Linen was first produced in ancient Mesopotamia, where white linen clothing became the preferred garb for living in extreme desert heat. The earliest known cotton fabrics are over 7,000 years old, and cotton is still today the most widely used natural fibre on the planet. Not much has changed over the millennia because these fabrics are perfect for sizzling sunny days and humid tropical heat. When cotton gets wet it grows stronger by 10 to 20 percent, so the more you sweat the stronger you cotton clothing becomes. Cotton helps keep you cool by being breathable and by helping to move some moisture away from the body by absorbing it. 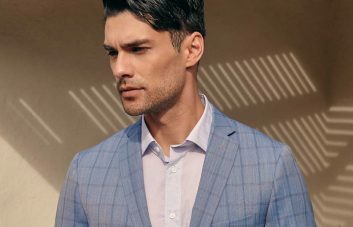 A cotton suit will hold its shape well and, when worn correctly, can be formal and business appropriate, or casual and cool. Try a crisp, solid dress shirt, patterned tie and solid pocke square for a summer office look. Or pair your cotton suit with a T-shirt and sneakers for a relaxed weekend outfit. 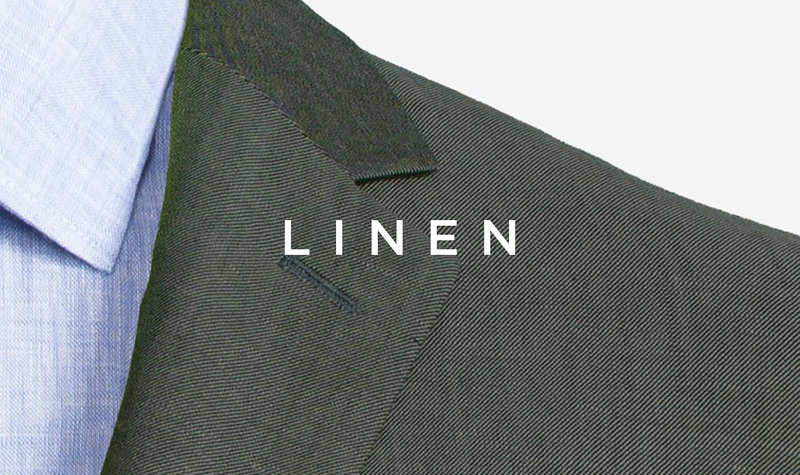 Linen has taken some undue flak over the years because it wrinkles so easily. 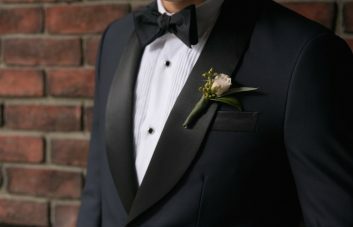 We say, “embrace the wrinkles!” They add character to the fabric and your outfit, showing the world that you actually live in your clothes and that you’re not afraid to have a good time. The slub texture of linen adds tactile dimension to your suit, giving it a unique and slightly textured appearance. 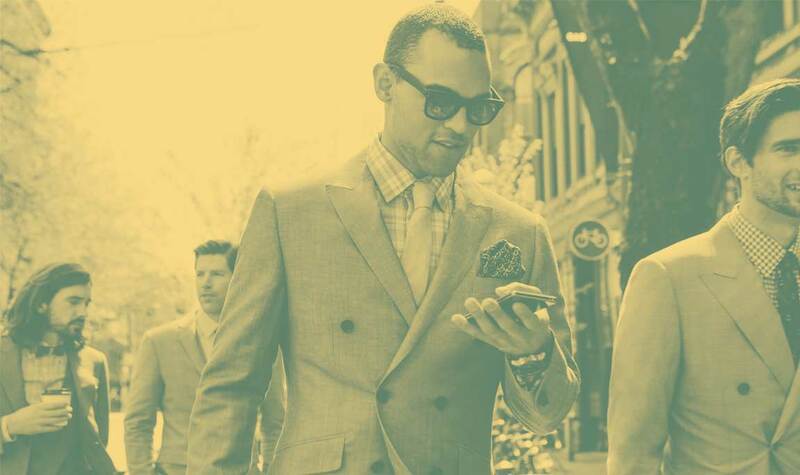 Linen is an insanely strong, abrasion-resistant fabric, which means you can beat your suit up and it will still look great—perfect for busy guys on the go looking to get the most out of their summer adventures. 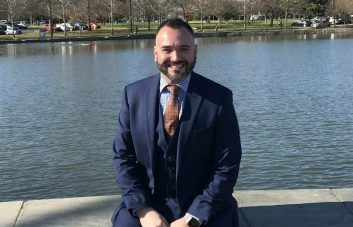 So, If you’re only breaking out your cotton and linen suits for summer weddings then you’re doing it wrong. These two ultimate summer suits work for just about any warm weather situation. Our new cotton & linen collection has what you need to look and feel cool this summer.